I’ve been an ardent Chelsea supporter since 1970, and I’m a massive fan of David Luiz. When he returned to Chelsea last summer, I was delighted. I wanted to show my love for him, but I’d already bought my replica shirt with another player’s name on, and couldn’t splash out on a second. 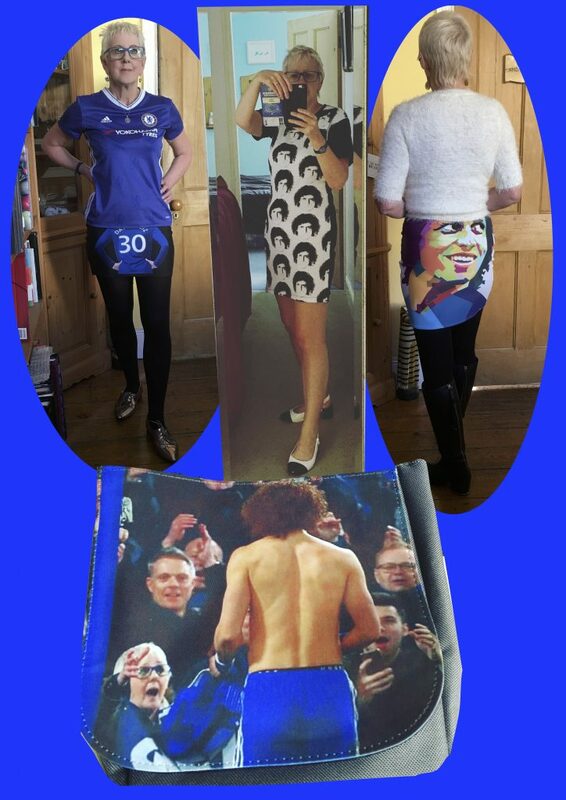 So my husband, not a football fan, made me a banner to wave at matches, saying simply ‘Geezer. CFC.’ Geezer is David’s nickname which dates back to his first spell with the club. David saw my banner and acknowledged it, and after one game, he strode over to me and gave me his match shirt. It made me so happy. David always says hello and waves whenever he sees me and my banner. He calls me his ‘Geezer Carol.’ I’ve also met David’s mum, girlfriend and sister, who are very lovely people. I have a number of skirts and a dress with David’s image on, and he and the family all think it’s great. David Luiz is the nicest footballer I’ve ever met: Compassionate, funny, friendly, and very humble.